Fed up of having to vacate the Royal Borough for a decent day party? We thought so! That’s why on Saturday 11th July Beaufort House Chelsea will be hosting a fully blown blow out brunch for you all starting at 12pm, throughout the afternoon. DeBrunch will launch at The House this summer with your pleasure being key, and an ethos based on debauchery. With enough room for 350 local legends we expect a day full of decadent and hedonistic DeBrunchery! It’s high time there was a brunch party that didn’t involve excessively long taxi journeys or heaven forbid – public transport! 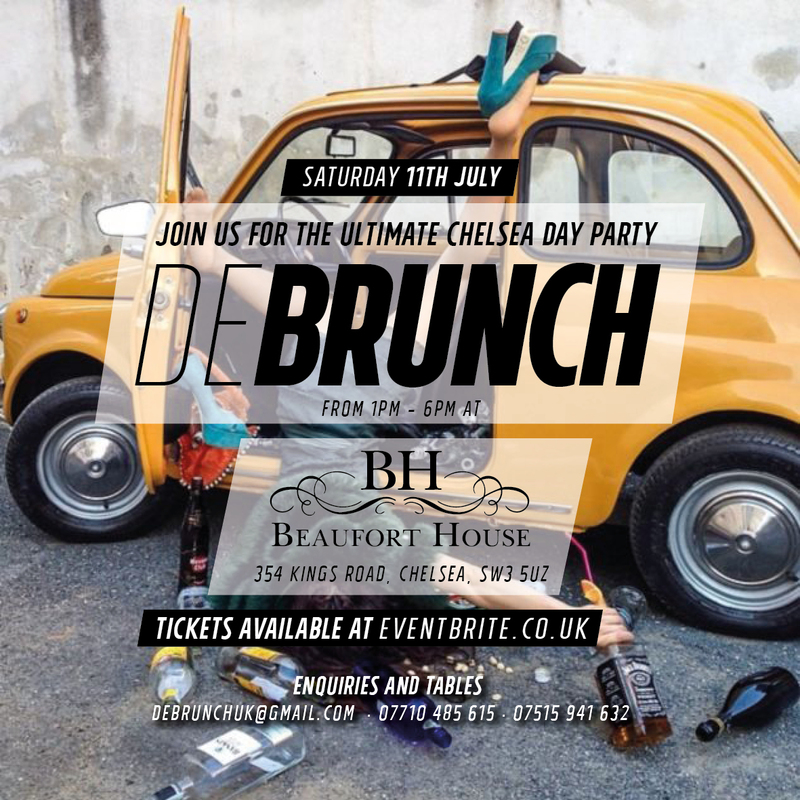 So if you want to spend a Debrunch Saturday afternoon out and about in Chelsea, with the added benefit of being able to walk home or stroll to local nightspot then DeBrunch at The House is for you. So join us for our inaugural party at Beaufort House on Saturday 11th July 2015. Tickets are booking fast so book today. Click HERE to book.